Sharon joined Stackpole & French in 2016 when her law practice of 40 years was merged into the firm and she retired from the practice of law. Though no longer practicing law, Sharon continues to provide valuable support to the firm’s real estate team, and invaluable institutional knowledge for Williams and Green clients that have transitioned their legal affairs to Stackpole & French. Sharon works out of Stackpole & French’s Morrisville office and serves as the Manager and Closing Coordinator for Vermont Fractional & Timeshare Transfer Company, a wholly owned subsidiary of Stackpole & French which focuses exclusively on the transfer of fractional and timeshare real estate at Vermont resorts including Village Green at Stowe, Mountainside Resort at Stowe, Smugglers’ Notch and others. 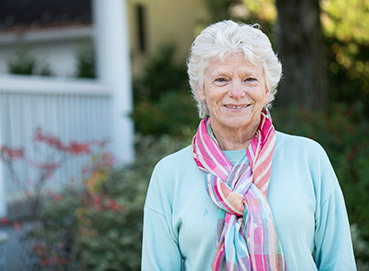 Sharon is a native of Massachusetts and moved to Vermont in 1970. Shortly after her move, she initiated a four year law office clerkship sponsored by the Vermont Supreme Court and the law office of Wolchik & Williams, with whom she was then employed. She was admitted to the Vermont Bar in 1979, the same year she obtained a B.A. degree from Johnson State College. Sharon continued working with Wolchik & Williams through the retirement of Joseph Wolchik, and became a partner in 1995 when the firm name changed to Williams and Green, PC.